If you’ve been following along you might remember that earlier this month I was offered the chance to try out Annie Sloan Chalk Paint now that is has arrived in Australia. I admit that I thought this was a hoax – I couldn’t believe that someone would offer me paint, but a few weeks later the paint turned up and I couldn’t wait to get started. The dresser I worked on was actually in quite good condition, just very dated. I did NO prep work for this other than giving it a clean. 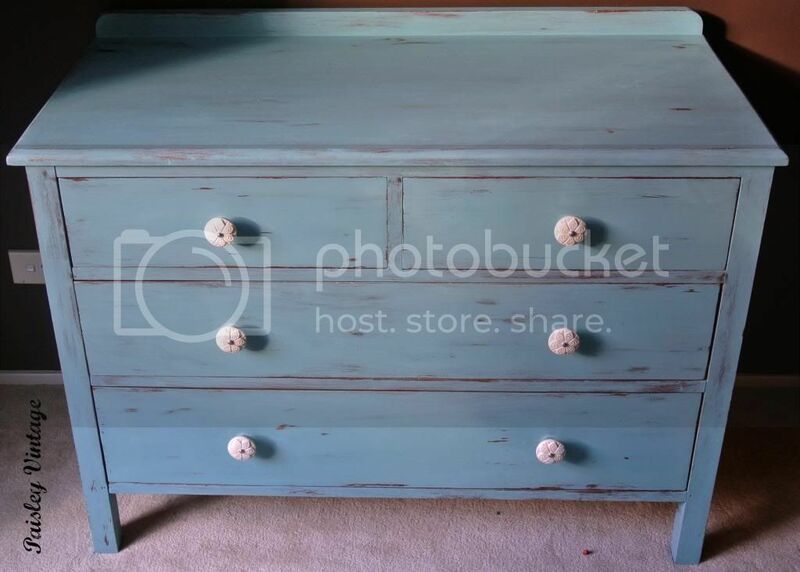 The Chalk Paint was thicker than I expected, but so easy to work with. I decided I wanted a stronger paint colour so I did two coats, and then used a wipe to distress. I love how this turned out, the colour is so gorgeous. 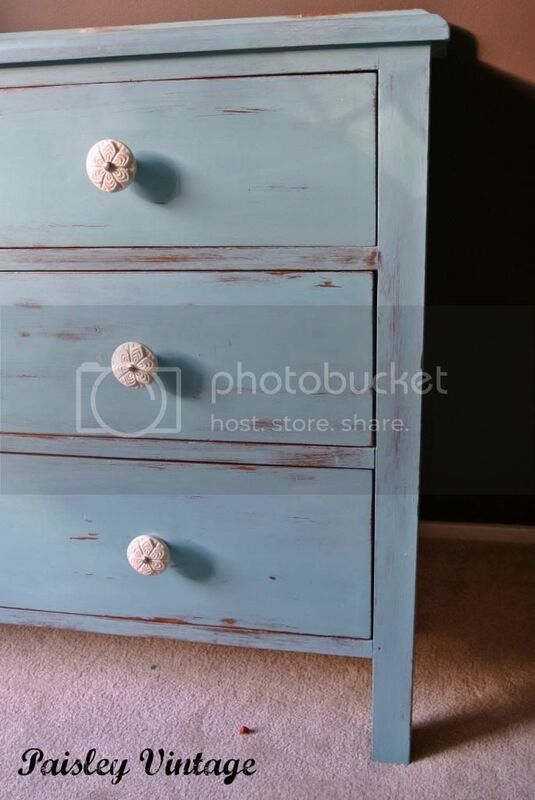 For someone used to either undercoating or making up a batch of home made chalk paint, this was really easy. Sure the paint might be a little more expensive on its own, but when you consider the saving on undercoat, and your prep time, I think it works out great. 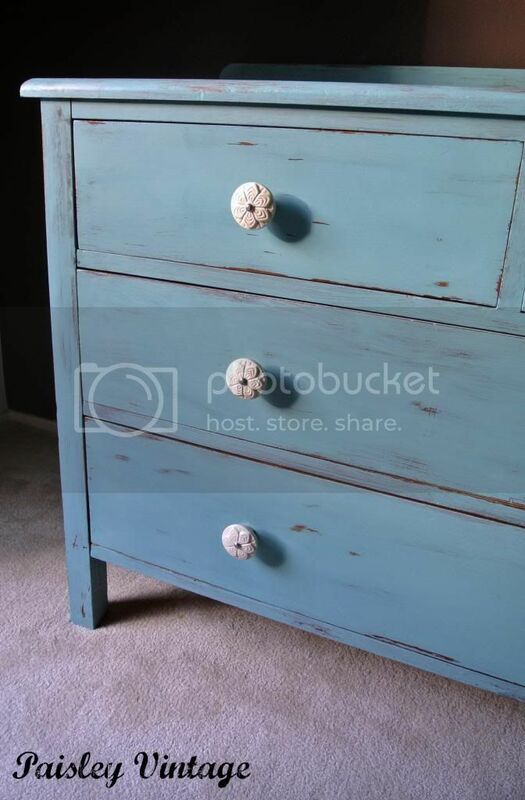 The colour is Provence, a gorgeous turquoisey aquay hue that I love. I took this piece along with me to a local market on the weekend and I can’t tell you how many people commented on the shade. EVERYONE loved it. I also received some wax, both clear and dark. While I love the paint, the wax really impressed me and I wouldn’t go back to my basic stuff again. Application was super easy and the end result is great. I’m sure this is old hat to my US and UK friends, but for us Aussies, this is a big deal. If you want to try some out for yourself, Australian stockists are listed here. They also offer classes too. 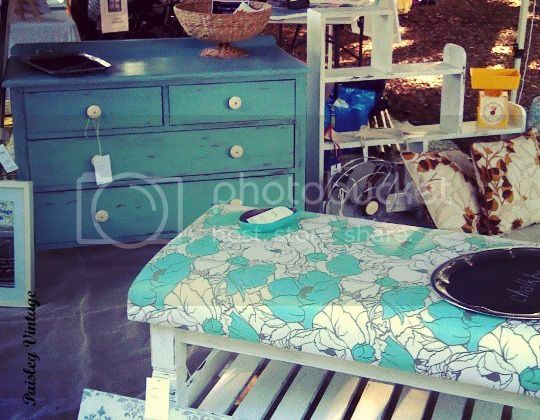 I’d love to visit one of the Sydney stores soon, as I think some more of those Annie Sloan blues have my name on them. In case it’s not clear, this is a sponsored post. I was provided paint and wax to use for this project, but the opinions are all my own. This is my first ever post like this and I can’t say enough how much I appreciate the opportunity. 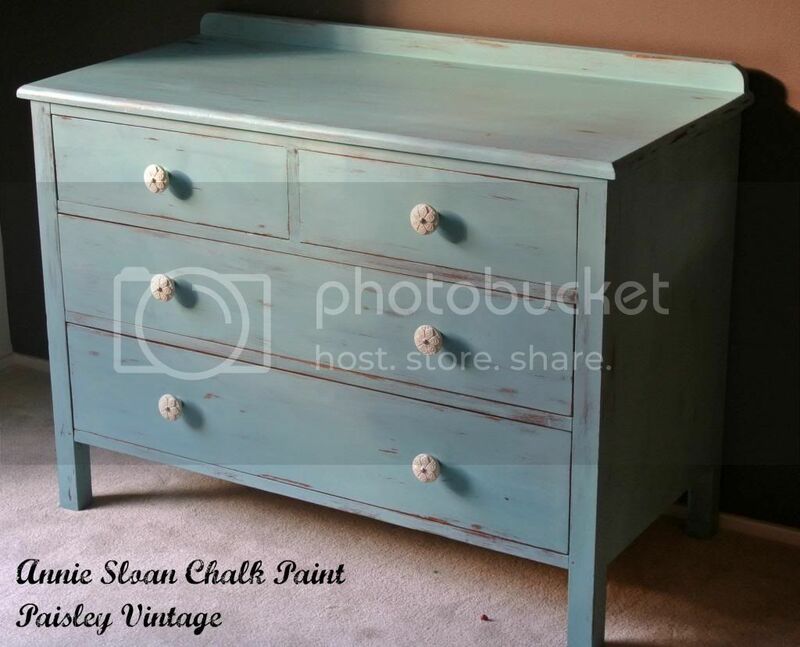 The post Provence Dresser – My First Chalk Paint Project appeared first on Paisley Vintage. Copyright © 2019 Paisley Vintage .